Stafford Junction is proud to offer the Healthy Living Pays (HLP) program which encourages children, youth and families to adopt healthier lifestyles by giving them the tools needed to succeed. Currently with 286 enrolled we offer a wide variety of classes and programs. They each commit to attending 3 classes each quarter. Participants are assessed for healthcare and health insurance needs. Stafford Junction Certified Application Counselor (CAC) organization for the Patient Protection and Affordable Healthcare Act. Being a CAC organization, Stafford Junction is able to screen individuals and families for eligibility for federal health insurance subsidies. The program then assists with either enrollment into a government sponsored health insurance plan or assists with enrollment into other healthcare plans. 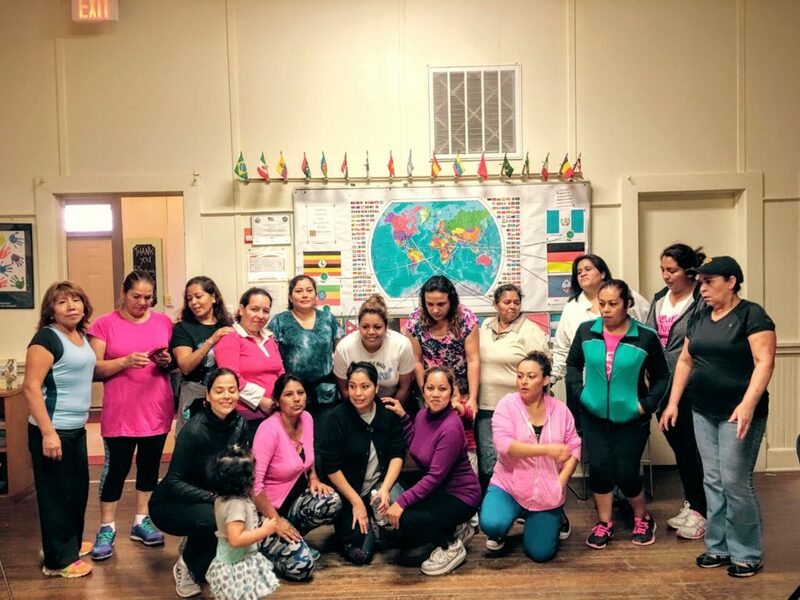 The Healthy Living Pays (HLP) program focuses on preventative health care by facilitating health care access and by hosting educational seminars and screenings designed to prevent illnesses. In addition, the program promotes healthy food choices by offering cooking classes and nutritional seminars. We also plan, promote, and provide transportation for trips to local farmer’s markets so our participants have access to fresh fruits and vegetables. 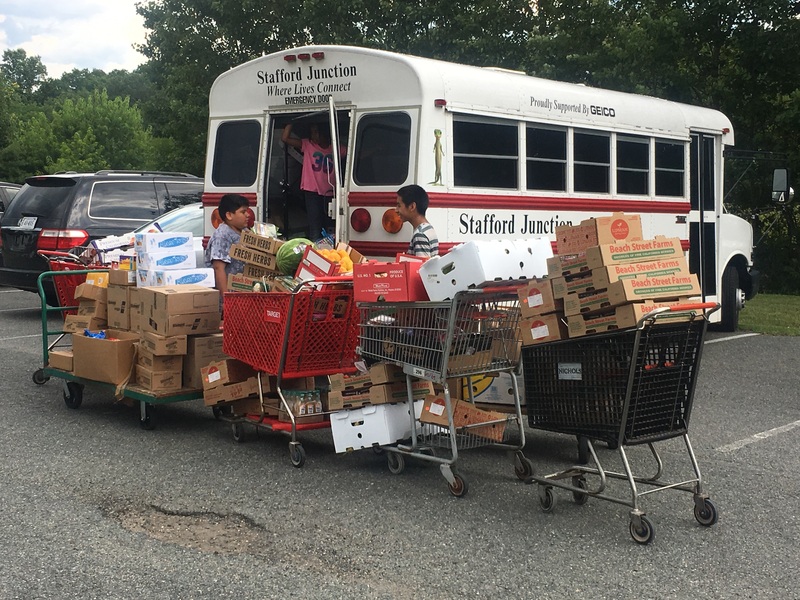 Stafford Junction is also a site for the Mobile Food Pantry, which is held every fourth Wednesday of the month. In Partnership with the YMCA, one of the best parts of our HLP program enables us to offer our committed participants a membership to the Massad YMCA free of charge. This program membership allows our participants to use the YMCA facilities to incorporate physical activity into their daily lives. For those who may not have access to transportation, we provide transportation to the YMCA at scheduled times during the week. The target population for this program includes the residents of the Olde Forge community, Quarles Mobile Home Park, England Run Point and Garrison Woods. Stafford Junction wishes to gratefully acknowledge the Stafford Hospital Community Benefit Fund for the generous funding that has played the leading role in making the Healthy Living Pays program possible. We also recognize our numerous community partners in this project: Virginia Cooperative Extension, Moss Free Clinic, YMCA (Massad Branch), Greater Falls Run Lions Club, Rappahannock Area Community Services Board, and Fredericksburg Christian Health Center. Did you know for only $8.75 per month you could sponsor 1 person in this program? If you would like to be a sponsor, use the donate button below. You can make a one-time donation or a recurring donation.